SCOI is asking for Saugeen cottager assistance with a research project being undertaken at the University of Waterloo by completing an on-line survey or a short telephone interview with Charlotte Hings, a University of Waterloo graduate student doing the research. Following is a description of the project and contact coordinates for Charlotte. We believe this is important work, especially now that the Band is proposing to close the Main Beach to traffic. 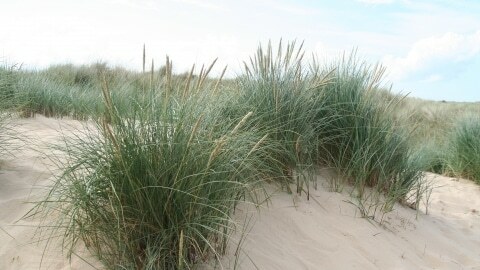 Beach and dune grasses provide many benefits to humans that interact with the Lake Huron coastal environment. Its growth along the shoreline help maintain sand dunes, which are extremely important components of the Great Lakes coastal system because they protect against land from flooding and are habitat for many native plants and animals. If the beach and dune grasses are lost or removed, then the shoreline can become unstable, and this affects the people, other ecosystems and infrastructures. In order to protect these grasses, the University of Waterloo needs input from SCOI members. They are conducting research to better understand the human-environment interactions between people and the Lake Huron shoreline by examining the benefits people receive from beach grass, how they perceive and interact with it and gaining insights on how to better manage beach grass along the Lake Huron shoreline for the better of the people and the environment. To do this, we are conducting a short online or phone survey with local property owners and beach visitors to understand their perspectives on these benefits. The survey aims to understand how you interact with beach grass along the shoreline and the benefits you receive from its presence. It should take no more than 10 minutes to complete. With a better understanding of these interactions, how they are changing and how this is impacting the social well-being of the relevant people, more effective protection and conservation methods for the fragile beach-dune ecosystems of Lake Huron can be developed.